Sustainable faith: Congregations find common purpose in food justice – J. On a recent afternoon inside a Berkeley church, a Muslim, a Jew and a Christian sat together around a table to talk about a common cause, sharing the ways in which their churches, synagogues or mosques engage in food justice. It was part of the fifth annual “Faith, Farms and Food Access Conference,” put on by the Interfaith Sustainable Food Collaborative, and the first one to take place outside of Marin or Sonoma counties. Schwartz, who named his New Carpati Farm after his father’s region of Ukraine, founded the collaborative five years ago and serves as its executive director. With funding primarily from the California Department of Food and Agriculture and a few other sources, Schwartz has been building up a roster of faith-based communities, including Santa Rosa’s Congregation Shomrei Torah and Tiburon’s Congregation Kol Shofar, that are making food justice and healthier eating a priority. The movement is growing nationally as well. Schwartz modeled his organization after researching similar efforts taking place in Oregon and North Carolina, and a year ago he attended a conference on the topic in Boston, where he observed a burgeoning interest in food justice among different faith groups. At the “Faith, Farms and Food Access” conference, Hisham Moharram talks about how Islamic values inspired him to start Good Tree Farm in New Jersey. That spirit of common purpose was evident at the Berkeley conference. At the opening forum, Urban Adamah associate director Mark Jacobs gave a brief overview of the Berkeley Jewish urban farm and social justice fellowship. He was joined by Sarah Nolan of Abundant Table, a similar program to Urban Adamah’s but serving the Episcopal and Lutheran communities in Ventura, and Hisham Moharram from Good Tree Farm, the Muslim founder of a New Jersey farm that offers jobs and opportunities for local at-risk youths. Each program has put feeding the hungry at the center of its mission, with young people doing much of the food production. Moharram gave a stirring talk, explaining that according to his beliefs, what he had amassed in wealth and connections meant nothing unless he used it to do good and help others. “The mainstay of Islam is that your good deeds for others is what counts,” he said. One of the more common ways faith communities have taken action is by joining a CSA (Community-Supported Agriculture), in which they pay for shares at a participating local farm and get regular delivery of seasonal produce in return. In a panel session about CSAs, moderator Rev. Dan Senter from Our Savior’s Lutheran Church of Lafayette said joining one is “the easiest gateway drug to this issue” of supporting sustainable food and farming. Senter described how his church initially participated in a “fantastic” interfaith CSA set up by Lafayette’s Temple Isaiah some years ago, but “they couldn’t sustain it over the long haul and it fell apart. When it did, our congregation and those participating didn’t want to go back to Safeway.” Volunteers stepped up to take over, and the CSA continues at the church today. Also on the panel were two regular vendors at the Berkeley Tuesday farmers market, Judith Redmond from Full Belly Farm in Guinda (Yolo County) and Maria Inez Catalán from Catalán Family Farm in Hollister. Catalán, who worked her way up from farmworker to owning an organic farm, is a bit of a celebrity in the farming world. Speaking through a translator, she told of how her family farm’s partnership with a CSA made it possible for them to become landowners, with a church member signing as a guarantor with the bank. Whether it’s composting or holding a healthy food or local food fair, there are lots of things congregations can do that go way beyond the food pantry. Schwartz said a major influence on his decision to establish the Interfaith Sustainable Food Collaborative came from the Hazon Food Conferences in 2008 and 2009, when Hazon was encouraging local Jewish communities to join CSAs. Results were mixed: While some signed on and became true believers, others dropped out over time, for a variety of reasons. Schwartz’s congregation, Shomrei Torah in Santa Rosa, is one of the success stories. It has been part of a CSA for six years, growing out of the environmental action committee’s interest in supporting a local farm. The members welcomed proposals and visited seven local farms before settling on Singing Frogs Farm. Reisman said that over the six years, he’s learned that what begins as an interest in health grows to encompass environmental concerns and social justice, as people start learning more about farming and specifically what’s going on with their own particular CSA farm. “Ours are pretty innovative farmers. Their shtick is that they do not plow their fields, they only add compost and never disturb the soil,” resulting in much better production, he said. There have been synagogue outings to the Sebastopol farm for blueberry picking and special events geared toward children in the religious school. But the work of the collaborative goes beyond educating faith-based congregations about CSAs. It also includes selective grant-making. For congregations that serve predominantly low-income people, the collaborative has given mini-grants (with money from the U.S. Department of Agriculture) to host produce stands; Schwartz said such food stands encourage people to eat healthier diets, especially when participants can purchase the goods with their SNAP benefits. The collaborative also has given grants to congregations to support nutrition and cooking instruction for underprivileged youth, and mini-grants allowing others to plant gardens. Kol Shofar was one community that installed an interfaith garden. 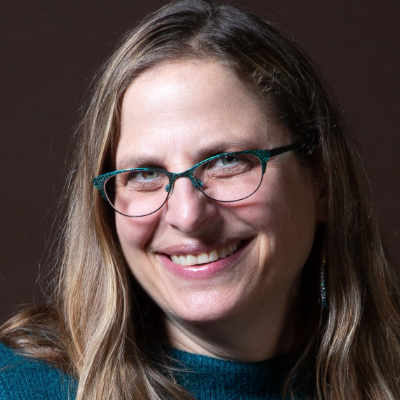 Rabbi Chai Levy, who serves on the board of the collaborative, attended one of its early conferences in 2012 where she was inspired by a panel about community gardens. “The take-away for me was that a food drive collecting cans was the old-school way that communities of faith were participating in hunger issues, but that was like putting a Band-Aid on it as opposed to looking at changing our food system,” she said. Levy went on to initiate an interfaith community garden project at Kol Shofar with neighboring Westminster Presbyterian Church. Schwartz’s group later came through with a grant to install a drip irrigation system. Jonathan Emanuel, director of youth education and family engagement at Kol Shofar, recalled an event that grew out of the garden project. “At the religious school, we run certain holiday programs that are open to the whole community,” he said. Near Sukkot, Kol Shofar hosted a farmer from First Light Farm in Petaluma and an intern with the collaborative to present an educational program that included strawberry tastings and a talk about where food comes from. “They were able to translate what they were doing into Jewish values even though neither one of them were Jewish, and they were able to make the parents understand why it was important to support local farms,” Emanuel said. 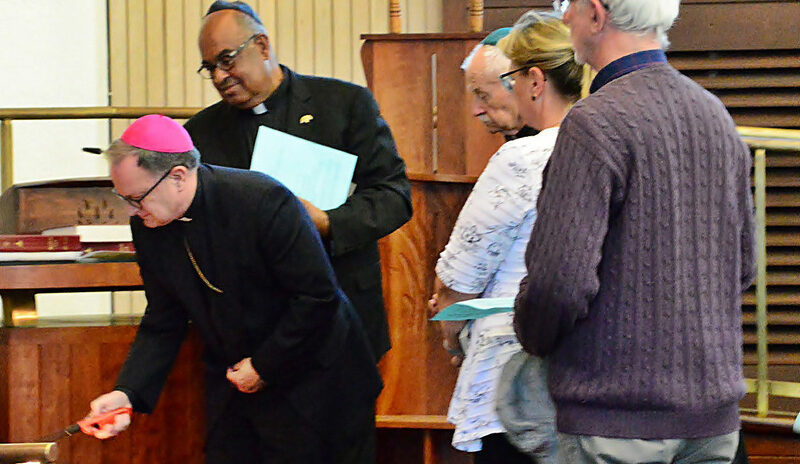 This sustained the connection between the farm’s CSA and the congregation for a few years. Another time one of the farmers was invited to talk about CSA from the bimah when the Torah portion discussed shmita (the concept of letting the land lie fallow every seven years). 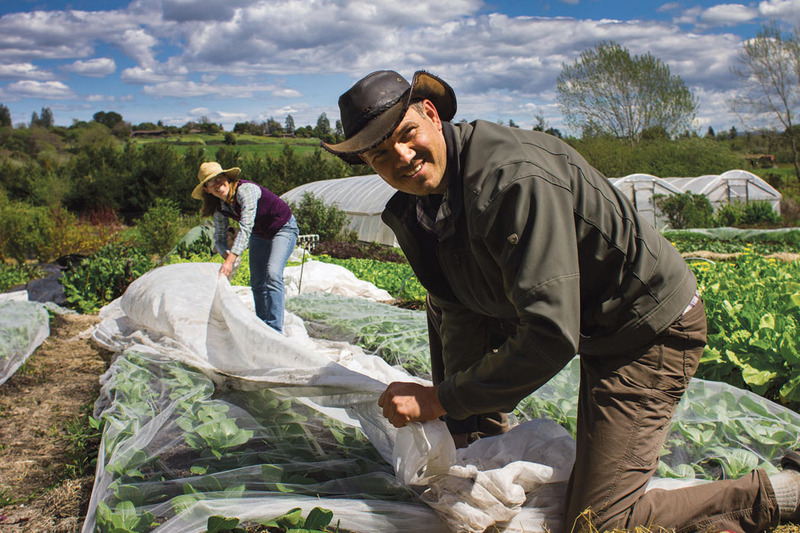 As Schwartz sets his sights on expanding beyond Marin and Sonoma counties to the East Bay, he is educating communities about the different ways they can get involved beyond joining CSAs, such as doing advocacy work. He noted how the Union for Reform Judaism and other organizations supported a statewide bill to allow farmworkers to receive overtime pay; the governor signed it into law in October. And Jewish groups have been involved in advocacy around the farm bill, as well. Schwartz plans to hire an East Bay outreach worker to help make the connections. 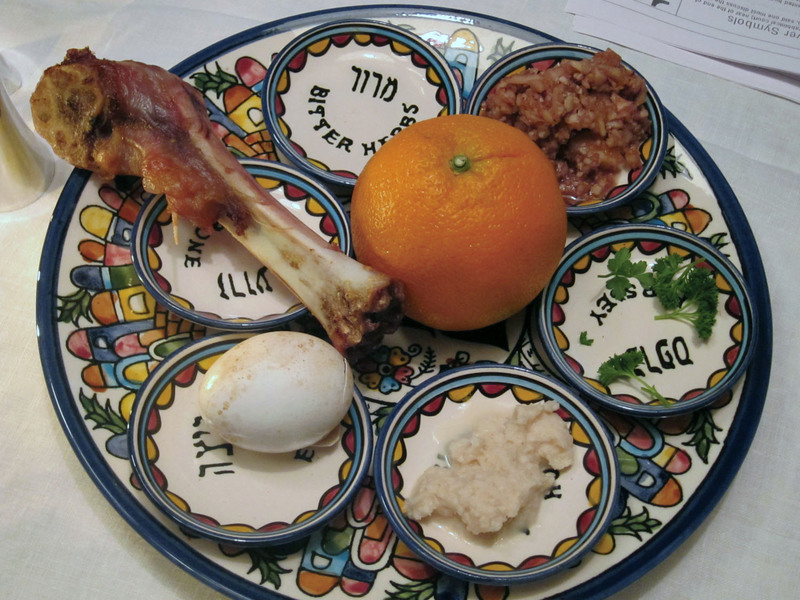 Need a seder in the Bay Area this year?